The vampire has become one of the most alluring and sensual screen monsters, even though the origins of the myth ring closer to the animalistic Count Orlok than sophistication of Count Dracula. It’s not surprising that the audiences took to the beautiful darkness of Dracula quicker than the menacing shadows of Nosferatu, and from then on in the more popular Vampires have always followed in the qualities of the former and for most intents and purposes are decidedly “human”. But the story is only half the art, and in times when the likes of Edward Cullen are the representative of our fanged friends and their dammed associates, we need to return to have a look at what true artful portrayal really is. When bringing such creatures to the screen without the aid of special effects and gore while still managing to capture the air of the extraordinary, costuming comes heavily into play. 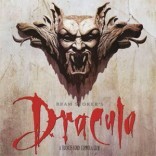 One such film that ably took up the mantle was Francis Ford Coppola’s Dracula. 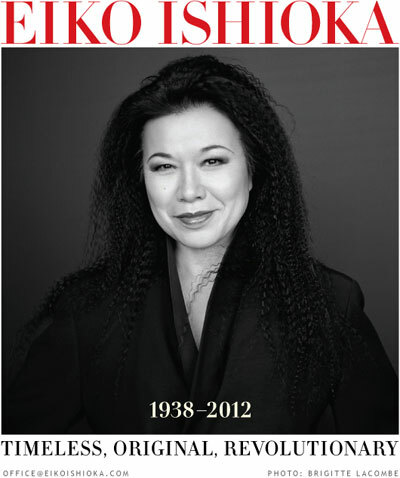 Indeed Eiko Ishioka received an Academy Award for Best Costume Design for her work on the film, and yet this was her first foray into designing for the silver screen with all her work being for stage or television prior. Coppola described Eiko as “an independent, a weirdo outsider” although these days she is firmly among the most sought after costume designers for the horror and fantasy film genre. She however still manages to keep the accolade with her discerning choice in projects. Coppola wanted to lead with the costumes, letting them be the jewel of the show and Eiko was the perfect person to set them. This version of the film is undoubtedly Mina’s and is exactly how Jim Hart wrote the screen play. Enlisting Winona Ryder as Mina Harker, it was actually she who propositioned Coppola to Direct. There is no doubt that her red dress which splashes its colour onto the screen during the Absinthe scene in Rule’s Cafe, has become as iconic as the story itself. Eiko predominately designs for this film in line with the mid to late Victorian era within which the story is set, but adds embellishments to provide new and interesting twists. The gown lends its style from the polonaise revival in the 1800s with the fullness bunched up at the back supported by a bustle with accentuated drapes on the hips. These floor-length gowns then often had ornately pleated trains which were part of an exposed underskirt. Eiko did not cut corners on the costuming, with Mina’s outfits made from imported silk taffeta and finished and embellished to the highest standard possible. Owing to this, many of the costumes were one-off pieces rather than the duplicates usually required on feature film sets. The sleeves are perhaps one of the more unusual features of the dress. Victorian dresses were either short sleeves draped off the shoulder in the décolleté style, or high collared mutton-leg style – which became increasingly puffy as the era wore on. But Mina’s dress has sleeves cut off at just below her elbow with pointed drapes. Looking at Eiko’s preliminary drawing of the outfit you can see slight parallels between this dress and Dracula’s Armour. The colour even gives this away. While the colour associated with Mina in the beginning of the film was green to convey her intelligence, sexual naïveté, sense, and strong will, we see in this scene that she is destined to be turned as she wears the red associated with her predator. The ladies already under his spell and who deliver a more servile existence are given less powerful colours. The Vampire Brides, are most often depicted in white diaphanous flowing gowns. White being a colour we are encased in when we are born, get married and die – thereby encompassing life from beginning to end, and in the case of the Brides, a life that has ceased to be and yet will last forever. It is also virginal and comforting which is the initial illusion specifically played out for Jonathan Harker. His particular attachments to these characters have made their impact memorable even with their short-lived screen time. He auditioned over 600 woman and from the outset conceded that he may need more than one person to play each to get exactly what he’s looking for. Luckily this clear vision saved us from Eiko having her own way with Brides, being naked and painted green in homage to a Succubus or Green Fairy, as her initial idea detailed. Although she later confesses to the outcome being a far better choice.